The flamingos at the San Diego Zoo were greeted with their annual check up on Wednesday. 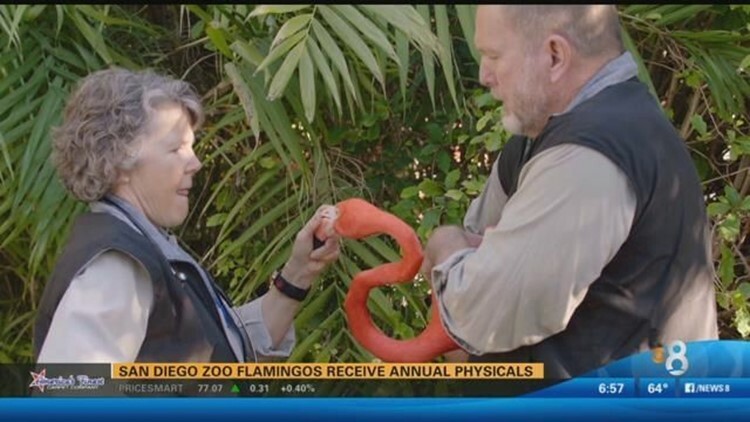 SAN DIEGO (CBS 8) - The flamingos at the San Diego Zoo were greeted with their annual check up on Wednesday. A group of nearly 100 Caribbean flamingos were corralled into a holding area near the Flamingo Lagoon Wednesday morning. From there, they each underwent a health exam, featuring a west Nile vaccination and physical inspection. The birds have been front and center at the zoo for more than 50 years.